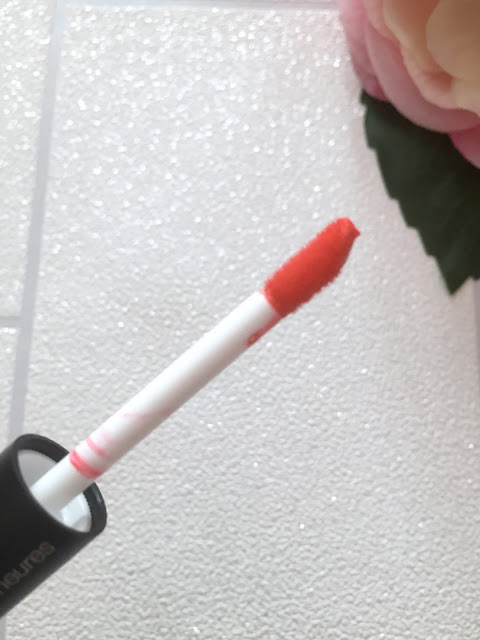 I have been loving liquid lipstick recently and have got quite the collection going on, one liquid lipstick I have in my collection is the Kiko Double Touch Lipstick in the shade Orange Red (109). My eldest daughter bought me the double touch lipstick on a recent trip to London after me saying how much I liked hers when she wore it. 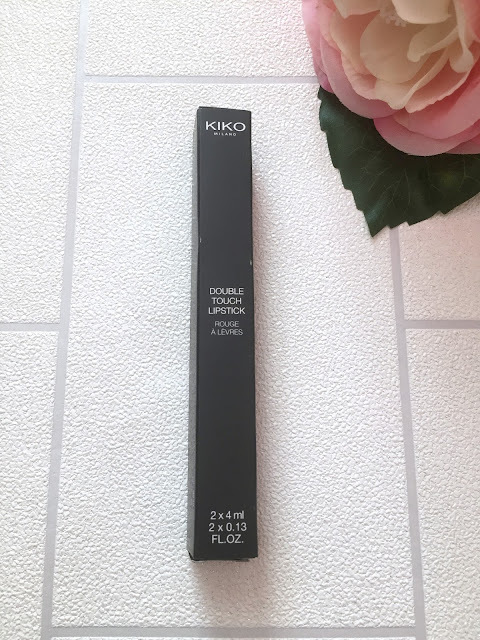 The Kiko double touch lipsticks are a 2 step lipstick, there is number 1, the colour and number 2 the clear gloss to put over the top of the colour. The applicator on number one is a doe foot applicator and is easy to apply, in just one swipe I have a lovely opaque colour on my lips, I then use shade one which has a brush applicator and again is easy to apply, I did worry the gloss would go everywhere but it doesn't. The double touch lipstick shade I have is 109, Orange Red, it is a lovely orangey red shade as the name suggests, and is similar to MAC Lady Danger in colour. 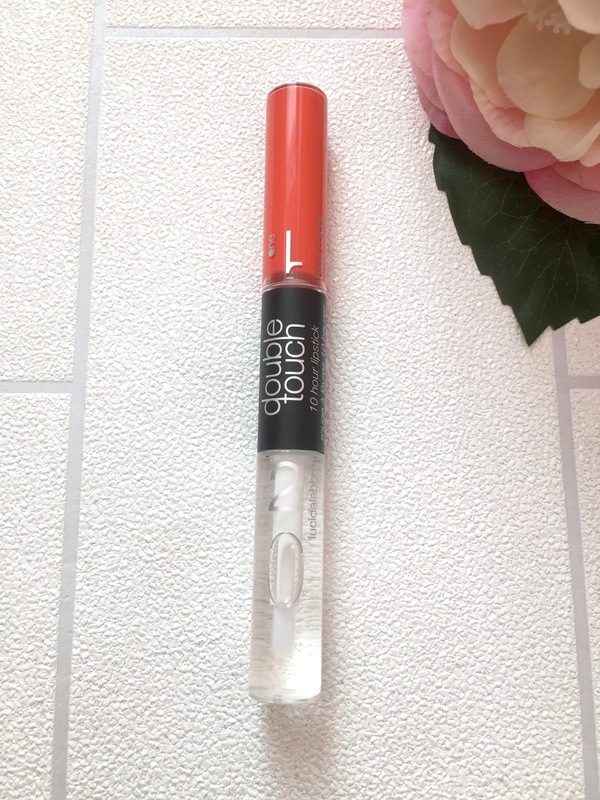 I use number one first, applying the red/orange shade all over my lips, that dries down to a matte finish and then I add number one, the clear gloss over the top. The finish is a beautiful opaque lip colour with a glossy finish. Over time the gloss does wear off and I'm left with more of a satin finish lip, but if you prefer a glossy look you can re apply the gloss anytime. The lipstick applies beautifully, it doesn't smudge or bleed and the gloss doesn't feel unbearably sticky, I really don't like lip gloss and never wear it so if you're like me and don't like that sticky feeling, don't worry this isn't horribly sticky at all. The gloss feels comfortable on the lips and over time as I said I'm left with more of a satin finish and then after a few hours of eating and drinking, more of a matte finish, but the gloss can be re applied at any time. 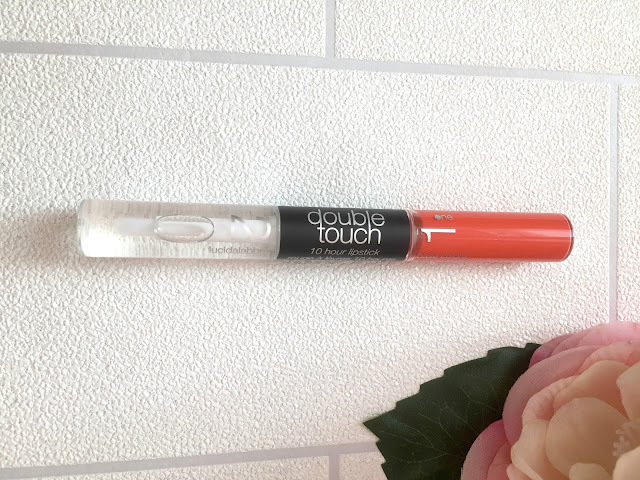 The wear time of the double touch lipstick is incredible, it lasts for hours and is by far the most long wearing liquid lipstick I own, it really does last hours. 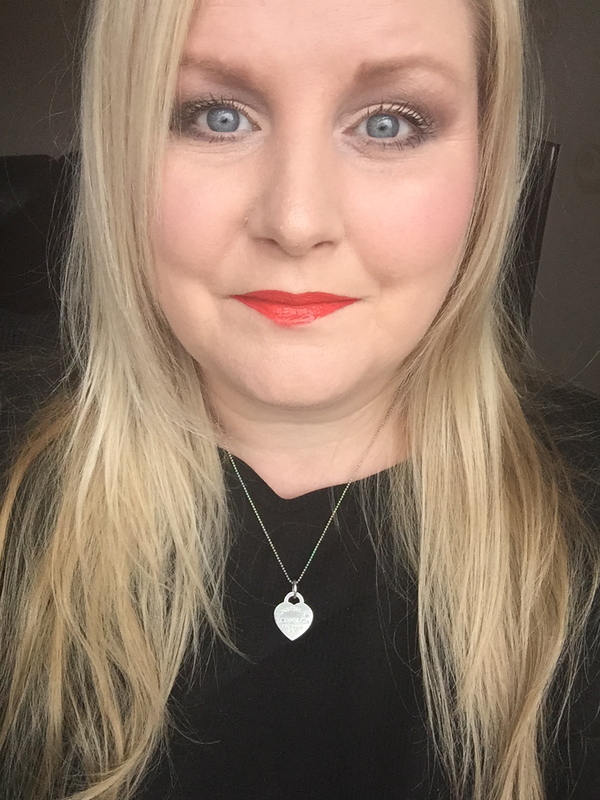 The first time I wore mine, I applied it at lunchtime, visited my parents and then went to the cinema, we watched a 2.5 hour film, I ate and drank and then came home and chatted to my family for a couple of hours and we then had a takeaway and the lipstick was still on when I went to bed, it really is amazing. In the photograph above I am wearing a MAC lip liner in the shade high energy underneath the double touch lipstick, high energy is also an orange/red shade and compliments the lipstick beautifully, giving a lovely orangey/red finish. I do also sometimes wear a true red lip liner underneath the lipstick which gives more of a true red shade with a slight orange finish, both look lovely, and the lipstick also looks beautiful when worn without any lip liner. 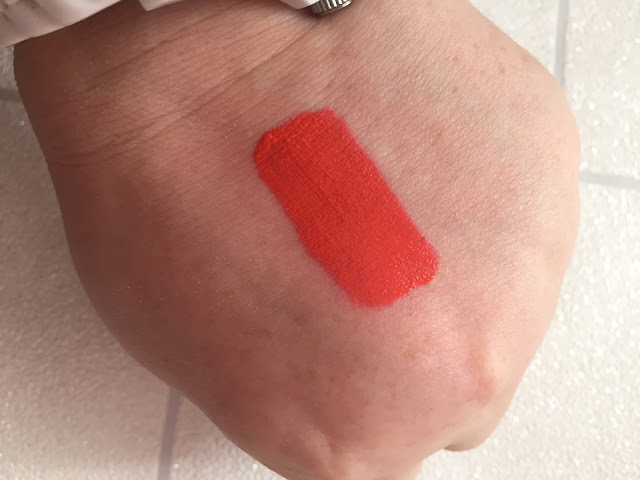 If you like a red lip and are loving liquid lipstick at the moment like I am, I would highly recommend the Kiko Double Touch lipstick in the shade 109 orange red, it is a beautiful opaque orange red shade that lasts for hours, I get so many compliments when I wear this lipstick and I will definitely be re purchasing another one once it has run out. 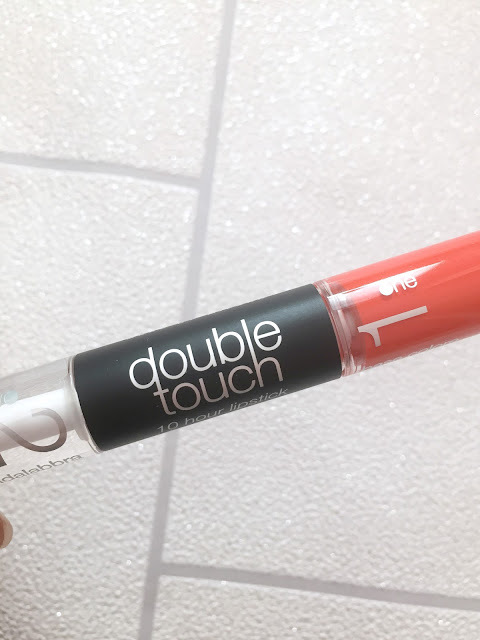 I would also like to try some of the other shades in the double touch range, there are 16 shades in the range and next on my wishlist is Watermelon (108). If you would like to try the double touch lipsticks, you can find them on the Kiko website HERE for £6.90. Have you tried the double touch lipsticks? Do you have any shade recommendations for me? Let me know in the comments.